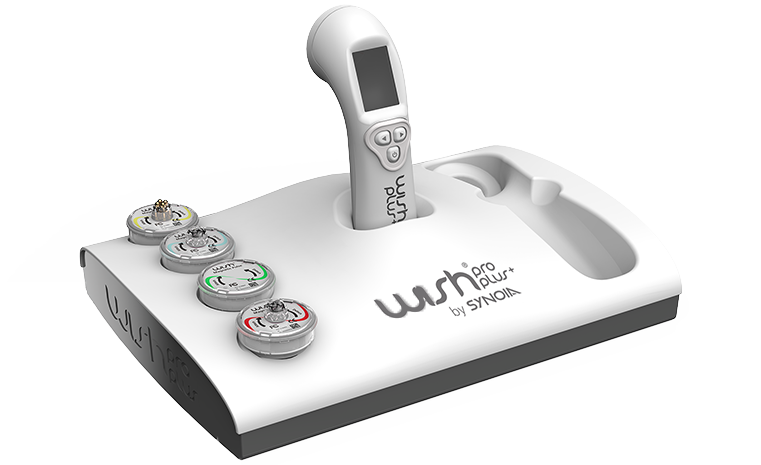 WISHPro Plus - A technologically advanced facial treatment device and capsule system. You will need only 15 minutes of our patented non-invasive treatment to make your face look younger, refreshed and healthy. WISHPro uses Magnetic Infusion Technology to convert magnetic pulses into an active energy field that creates light or electrical current. This magnetic field is partially converted to Microcurrent, Red LED, Blue LED, or Magnetic Pulse technologies using the different technology heads, and in tandem with the serum-infused treatment capsules, MIT penetrates the active serums into the skin. The unique combination of the MIT technology with the personal serum-infused treatment capsules, delivers unparalleled results for all skin types and concerns.